Candice is a high energy firecracker who has spent the last 10 years helping people find their first home, build their dream home, invest in properties, and sell their homes (even in rough times of short sales and bankruptcies). Candice also works with developers and builders to help them search out the next piece of land (typically not listed on MLS). She is honest and truly cares about every client. Her clients consider her a go-to family resource. Before pursuing her passion in real estate, she had 18 years of experience with high-tech sales and marketing to Fortune 500 companies and state governments. Thanks to her previous employers, she has attended and even taught many of the sales training courses. 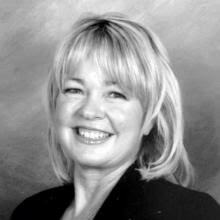 This was instrumental in transitioning her into a continued top-performer in Idaho real estate. This experience also fuels her tenacity and persistence with negotiations. Candice loves boating, water-skiing, snow skiing, sport fishing, RV camping (is that really camping?? ), follows NFL and has even been found sky diving on occasions. Those are just things she can still do…..we won’t talk about the toll 30 years of softball, diving for racquetballs, high speed skiing crashes, motorcycle riding have all had on her. Candice attended both Boise High and Boise State so she is no stranger to the area. She is well networked in the community and gives back where she can. She has done volunteer work for Special Olympics, Red Cross and adopted a little in the Big Brother Big Sister program. Clients really appreciate her candid communication and quick response to their needs.